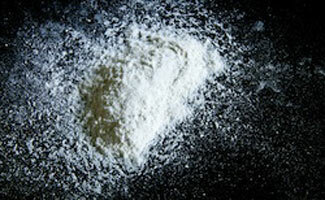 Speed, otherwise known as methamphetamine is a dangerous drug that has a number of extremely devastating side effects. This unpredictable drug is often sought for its flash high but rapidly becomes an addiction. In this article we will cover a number of the dangerous side effects that accompany speed use including: psychosis, strokes, brain damage, movement disorders, anxiety, depression, hallucinations, hepatitis, HIV, fatal drug interactions and heart conditions. Speed is an unpredictable street drug also known as methamphetamine, crazy horse, yaba, dexys, wake ups, bennies, uppers, jollies, black beauties and amph. According to current research, speed represents the single largest growing drug abuse threat in America today. Speed is most commonly sold as a whitish or pink powder that can also look like small crystals. Depending upon the purity of the speed in question the color and appearance of the drug can change as will the level of effects experienced by taking it. There are many methods of taking speed including touching it to the gums or snorting it, smoking it, injecting it or swallowing it. Depending upon the method of delivery to the system the “high” experienced can be almost instantaneous. The slowest method of obtaining a high from methamphetamine is through ingestion, using this method a high can take approximately half an hour to hit and it can last as long as six hours. How Does Speed Make People Feel? There are many reasons why people choose to take speed, the most significant of these is the high that they experience. Many professionals however, depend upon speed to help them to keep up with their fast paced life. Taking speed makes people feel energized and wide awake. Someone who has taken speed may appear excessively energetic and unable to sit still, they may chatter nonstop. Speed also acts as an appetite suppressant which is another reason why many people concerned about weight gain turn to this drug. Speed works in the body by acting upon the neurotransmitter dopamine. By releasing high levels of dopamine the brain experiences something of a euphoria in addition to increased body movement. When smoked or injected, speed produces a rush of a high that lasts only a few minutes but brings with it an extremely high level of pleasure. When taken in other means speed brings a high that is described as a euphoric feeling that builds rather than hits all at once. As the high from speed begins to set in the body experiences an increase in heart rate, breathing rate and body temperature and the pupils become dilated. Users may also experience hyperactivity, anorexia, tremors and insomnia. Speed also causes nervousness, paranoia, confusion, aggressive behavior, anxiety and irritability. As speed works upon dopamine when an individual begins to experience withdrawal from this drug they will also experience incredible levels of depression. How Does Speed Use Affect Overall Health? As speed works upon neurotransmitters in the brain it can cause a significant amount of damage to the brain including cell damage. Damage within the brain can also cause damage to the blood vessels in the brain making the speed user more susceptible to the possibility of a stroke. Individuals who take increasingly bigger doses of speed are also affected by erratic behavior and can develop symptoms of psychosis that are similar to that of Schizophrenia. As speed causes increasing damage to the neurotransmitters of the brain it is seen as having a neurotoxic effect as it permanently damages cells that contain both serotonin and dopamine. As increasing numbers of these cells are damaged individuals begin to show symptoms that are similar to Parkinson’s disease specifically resulting from lower levels of dopamine. Most speed users become addicted to the “high” that they get from the drug and this results in frequent use. Unfortunately for users of speed however, the more that the user takes the drug the more of the drug they feel they need. Speed users get trapped as they feed the need to chase a constant high that comes from speed use and this quickly results in financial, physiological and psychological ruin. Most commonly speed users dig themselves in to a massive amount of debt that results in them being unable to afford even basic needs. This financial ruin more often than not leads to speed users living out of their cars or finding themselves without shelter at all. Without financial means to provide for themselves, like many drug addicts, speed users begin to turn to any method they know to obtain the drugs they need for their “high.” In many cases this results in a lifestyle of theft and prostitution which only comes to an end once the user is arrested for illegal activity or when the user is killed either as a direct result of their drug use or as a result of illegal activities related to it. Over the years the rate of use of speed has steadily increased and as mentioned above is representative of the fastest growing drug abuse threat in America today. According to a 1999 study done by the National Household Survey on Drug Abuse it is estimated that some 9.4 million American aged twelve years old and over had already experienced using speed. The 9.4 million figure is 5.6 million higher than an estimate made in 1994 and shows the incredible growth rate of Speed use as a drug epidemic. Another 1999 study conducted by the organization: Monitoring the Future, found that 4.8 percent of high school seniors had used speed during their lifetime, this compared to a figure of 2.7 percent in 1990. Additionally this study found that 1.9 percent of these high school seniors had used the drug within the past year compared to 1.3 percent who had reported using the drug in the past year in 1990. In addition to studies conducted by the National Household Survey on Drug Abuse and Monitoring the Future, the Drug Abuse Warning Network has also provided a number of interesting figures in regards to speed use. According to DAWN (the Drug Abuse Warning Network) between 1991 and 1994 emergency department episodes related to the use of methamphetamine more than tripled from 4,900 to approximately 17,700 episodes. This epidemic showed a slight reduction between 1995 and 1996 however, it is believed that this reduction is the direct result of a low supply of the drug itself since figures once again rose back up to 17,154 in 1997. Speed is a methamphetamine drug and it is produced in the most part in illegal laboratories. There are many dangers that lie in this illegal production from the resulting drug to the dangers of the chemicals being used being highly flammable. When meth labs are not causing fires and putting neighborhoods at risk the drugs produced by them are. Illegally produced meth often contains large amounts of bacteria that can make users extremely sick; many other samples of these drugs have also shown the presence of “bugs” that can also cause sickness in users. Can Methamphetamine Ever Be Legal? One question that some people commonly ask is: Can methamphetamine ever be legal? The answer is yes; however, the legal distribution of this drug is extremely restricted due to the side effects that it can have and the seriousness of the drug itself. Most doctors are reluctant to prescribe any type of methamphetamine due to the addictive nature of this drug but on some occasions they may be the only available solution. One such prescription form of methamphetamine is Desoxyn. Desoxyn is prescribed for attention deficit disorder with hyperactivity. This drug is not the preferred method of treatment for ADHD however, due to the availability of other drugs that contain lower rates of addiction and negative side effects. When it comes to treatment of speed addiction the road is a long and difficult one. As with most highly addictive drugs the best policy is to abstain from utilizing the drug all together. For those who have already fallen in to the trap of using meth however, it can be extremely difficult to stop use of the drug. There are a number of reasons that people begin using this devastating drug but for most there is only one reason for quitting it – the choice between life and death. It is not only the buildup of negative health affects that drives users of methamphetamine to seek help to quit the drug, it is also the financial repercussions that the drug use ultimately has on the user. Meth users also commonly expose themselves to unsafe living practices through their drug use that expose them to illness and disease which can also dangerously impact loved ones. The fact of the matter is however, that unless a user is devoted to truly making a life change none of these negative health benefits are going to have any impact on the choice of a speed user to use their drug of choice. If you have decided to look into inpatient rehab for your methamphetamine use, then you have taken a very crucial first step. If no one has commended you on making this difficult choice, you should know that you have done something truly great. For addicts that have chosen meth as their drug of choice, their chosen, “friend,” is cruel, evil and destructive. Meth is like crack cocaine in the way that it can absolutely destroy the users life in a matter of just a few months. If you are a regular user, it destroys your physical body, and causes you to become paranoid and afraid of things that do not exist, fantasies of the sort that make you think that it is the end of the world and you have to save it. Meth is an extremely dangerous drug. Even people that feel that they have control when they do drugs, eventually have to admit that after regular use, meth eventually gets the upper hand. If meth has a hold of you, and you want to get help, you have made a powerful choice. Meth is ranked up there with the strongest drugs like crack, heroine and PCP, so if you have the wherewithal to make the decision for change, you have proven that you are more powerful than the meth, and a successful future is truly possible for you! First of all, you should know that, even if it seems like a long way off, you can succeed and become free of your meth addiction. Many people have achieved success through attending an inpatient facility. If you want to be clean and sober, you can be, and these programs will provide you with effective results and a long lasting recovery. You will find that addiction recovery specialists use the same methods in most meth treatment programs. These methods have proven successful and they typically offer quick results. No matter what type of drug use you are receiving treatment for, you will have to go through detoxification when you enter any drug treatment program. As soon as you arrive at the facility, or in the care of a facility representative in a shuttle, you will have to stop using your drug of choice immediately. This is extremely hard for most addicts, but this cold turkey step is characteristic of just about every program out there. When you are using drugs or alcohol on a regular basis, you develop a dependence on the chemical, and that dependence develops a hold that must be broken before therapy can begin to penetrate your psyche. Even some addicts that are eager to kick their habit will have challenges making progress in therapy if they do not end their relentless compulsion to take part in the constant user cycle of seek and use behavior. For alcohol and most drugs, your detox will take from about 5 days to two weeks. Depending on what drug you use, and what quantity of the drug you consume on a regular basis, the process could be physically painful as your body cleanses itself. You can suffer from terrifying hallucinations and lose control of your bodily functions. In most cases, you have to get somewhat weak before you get strong again, because you have given your body a crutch. It relies on that crutch, and everything that you do throughout your day is coupled with a feeling that crutch provides, either a feeling of anticipation for an upcoming party or moment when you will be able to consume the substance, or the actual feeling that the drug provides. Since opiates and meth are such strong substances, you have to detox rapidly from them. Your body becomes so dependent on these substances that withdrawal can cause serious mental or physical injury or death. Some symptoms that meth users experience include breathing trouble, heart palpitations, and heart attacks. Withdrawal from meth addiction is serious business, and you should always undertake it while under professional supervision. The rapid withdrawal program incorporates specialized medication that will make your detoxification process much easier. It will take you through parts of the withdrawal process within several hours, when these parts would usually take several days. This lowers your risk for death and injury. Meth is one of those drugs that can age users quickly. Your mind and body can also become disconnected, as you get lost in reckless fantasies and confusion. When these connections start to resume, addicts realize that they are becoming sober, and they tend to seek out a new high. In order to be healed, rehab doctors seek to restore these body and mind connections permanently. Through biofeedback treatment, the rehab specialists will use medical equipment to teach you what the physical signs of emotional and mental stress are. For example, a decrease in body temperature could indicate that you are experiencing feelings of anger or depression. If you realize this, you can opt to deal with your emotions instead self-medicating with drugs. You will find that this is a very common therapy in most rehab facilities. These treatments are government approved because they have undergone controlled testing. These are the therapies like group discussions, family therapy and individual counseling, that you commonly see on television and in movies when you see people undergoing drug treatment care. When you participate in individual counseling, you have valuable one on one time with a doctor who can help you get to the main reason you are doing the things that you are doing. You can make personal breakthroughs and gain healthy tools that you can use to deal with your issues. You can also learn to avoid the behaviors, circumstances, people and thoughts that make you want to use. Group discussion offers you a chance to feel like part of a unit. You will see that addicts come in all colors, and from all financial and societal backgrounds. This interaction can help you to learn new methods of coping with your struggles and give you a chance to feel heard. Many addicts never feel heard, and the drugs they consume are their only vehicle for release. For many addicts, broken family relationships are contributors to their addictive behaviors, so family therapy is essential. Addicts not only need professional one on one counseling and group counseling, but many times their family members do as well. Though rehab might not be easy, you will regret it if you do not make the choice to quit your meth habit. There is so much that you can do in the future, and you will deprive yourself of some wonderful experiences if you choose to stay lost in the world of drugs. You know that you were meant for more than a drug lifestyle, so you should do something about it and get clean, before your second chances run out. If you are addicted or know someone with a drug abuse problem, there are ways you can seek help. Reach out to friends and family for support and find a rehab center near you. The Coalition Against Drug Abuse is also a great online resource if you are looking to learn more. Watch the video below to learn the side effects and how to spot someone who is addicted to speed. What a joke this article is. Yeah speed causes financial ruin. When I was addicted to speed I would steal people’s Pokemon cards and sell them on to get a gram. Stopping usage instantly is dangerous and it is simply not true that it is necessary, lowering doses step by step is a method used by therapists a lot more often. The author seems to have no knowledge about what shes saying.